You’re drawn to go inside the home. First impressions are not only important, they’re telling. If you drive up to Ottawa homes for sale and feel compelled to go inside the house and explore it more, that could be a good sign. You’re taken by the home as soon as you step inside. You should be able to read a home’s aura within seconds of stepping inside. Does is draw you in? Does it feel warm and inviting? Does it speak to you? If so, that’s a good sign! You can already envision where you’re going to set your furniture. If you’re exploring the home and can already imagine how you would arrange the living room or master bedroom furniture, that may be a sign that this is the right home for you. The house complements you and your family’s lifestyle well. Although gut feelings are important, it’s also important to consider the logistics. Does this home meet you and your family’s basic needs? Could you live comfortably there? You can’t get the home out of your mind once you leave it. If you continue touring other homes for sale in Ottawa and find yourself comparing them to the home in question, it may be a sign that you’ve found the right home for you! You want to tell your friends and loved ones about the home. If you can’t help but gush to your friends and family about the home in question, that’s a good sign! Home buying is a personal process. If you’re ready to share with others about this potential home, it may be a sign that you’ve subconsciously already made up your mind. Something in your gut tells you that this is the home for you. Don’t ignore that intuition! 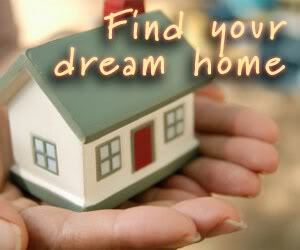 Follow your heart and let your Ottawa real estate agent know that you’re ready to make an offer! If you would like help navigating the market in search of your next home, be sure to contact Re/Max Ottawa, and your expert Ottawa Real Estate Agents.